What are you interested in? What are you good at? 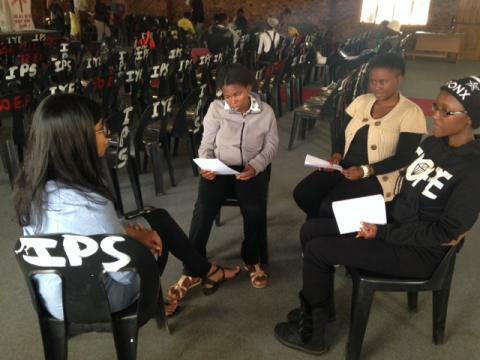 As grade 11 ikamvanites prepare themselves for the final hurdle of their schooling journey, they had to ask themselves which careers to follow, what interest them and whether they meet the requirements needed. Half of the youth in South Africa is clueless on what to do when they finish their high school. Ikamva Youth prides itself in helping the youth with the necessary information and giving them opportunities needed to further their dreams. 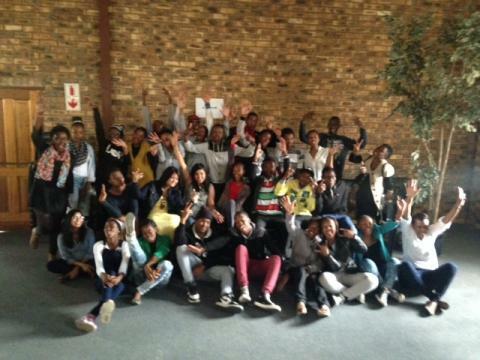 On the third week of October, Ikamvayouth Ebony Park hosted an online career guidance followed by a career talk. The day started with an online career guidance that is meant to provide comprehensive, individual meaningful career guidance based on learners/students interests, skills and personality characteristics, to ensure a career path best suited to them. A complete report ensures individual career direction, recommendations on school subject selection, tertiary qualification and institutions, as well as full details on the ideal career options. This enabled Ebonites to find the subject choices, tertiary qualification and career direction that is ideally suited to them. When Ikamvanites completed the online guidance, they walked away with a booklet that includes their career choices, requirements needed for chosen choices, universities that offer such choices and companies they can work for. As if this was not enough for Ikamvanites, a career talk followed which was conducted by SAB Miller employees. The career talk was facilitated by professionals from different departments of the company like Finance, Human Resources, Engineering, Marketing and logistics. This session focused on post school options (besides universities) for students to explore, given that many may not achieve sufficient grades to get into university i.e. University is great to get into, but not all will have the opportunity to do so. Ikamvanites heard about various career opportunities, and more tailored and engaging sessions where Ikamvanites can pick specific career options to engage on looking at the online career guidance report. This session helped ikamvanites know about drawbacks, challenges and successes that comes with certain professions. Most of the youth from disadvantaged communities do not know that there’s other profession’s than those they see each and every day in their communities. The responses from learners were amazing as Theory Mahomane said “having my future career typed for me in a form of a book and being able to meet professionals from big companies, telling me about different careers that are unknown to me than those we see at our communities like Police Officers and Soldiers”. It’s fascinating to see how individuals offer their support to prepare the youth for tomorrow. Thanks to Ikamva Youth and its relevant stakeholders for preparing future leaders with knowledge needed to realise that their dreams are possible. Are you an after-school education organisation working in Gauteng? Do you want to join a community of organisations working together, to deliver collective impact: improved academic achievement for learners in townships and rural areas, ensuring excellent matric results and access to tertiary, learnerships and jobs? Would you like to receive training, support and funding to achieve this impact? The Learning Trust (TLT) and IkamvaYouth have partnered to develop and expand the Collaborative Community, to ensure the delivery of high quality after-school tutoring programmes for South African youth living in township communities. The Collaborative Community Programme (CCP) is a growing network of after-school programmes, where members are provided with knowledge, skills and resource-sharing opportunities. CCP aims to increase the number of high impact, sustainable tutoring programmes in South Africa. 1) Become a member of the wider collaborative community, where you will be invited to take part in networking, skill sharing and targeted training sessions every other month and access a 2 day IY model introductory workshop and on-going tutor training. 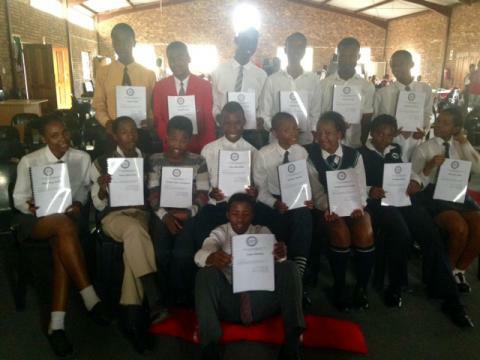 2) Receive a grant for a full year of intensive training and support from The Learning Trust and IkamvaYouth. This programmatic training and support, bespoke capacity support in all areas of organisational development, such as the areas of strategy and M&E, fundraising and governance, and financial controls, as well as programme funding will enable organisations to implement the full IkamvaYouth model and increase their impact (*see criteria below). 3) Join the movement to track and monitor collective impact: use the customised database for monitoring and tracking, and become part of an ongoing independent impact evaluation. All are welcome; please inform us about your programme and your needs. The deadline for applications is 5pm on Monday 2nd November 2015. We will be in touch in the first week of November. To apply please download the application form HERE and return it to zoe@ikamvayouth.org. Have at least 1 full-time salaried person or a committed founder/co-founder who has been involved in the programme for at least one year and is committed to making the programme work. Be an emerging community based organisation or a more established organisation looking to improve or change its tutoring model. If you meet the above criteria and are committed to work towards implementing a tutoring programme as outlined above, please indicate as such on the application form. Deadline for applications is Monday 2nd November 2015. Applications will be reviewed and you will be contacted for a follow-up telephonic interview in the week of the 2nd November 2015. Successful applicants will be informed of next steps, which may include a site visit and a meeting with key programme, managerial staff and board members. The preliminary dates for these visits is 16-19 November. Any organisations selected to receive programme support grants will then be required to submit a separate funding application directly to TLT in December. The 5 Day training will take place at end of March/beginning of April 2016 and two members of staff from selected organisations must be available for the full training. Dates and attendance will be confirmed with organisations in November. If you do not meet the requirements outlined here but are interested in working towards them or you would like to discuss your application and specific needs please contact Zoe Mann on 0744767965 or email zoe@ikamvayouth.org.